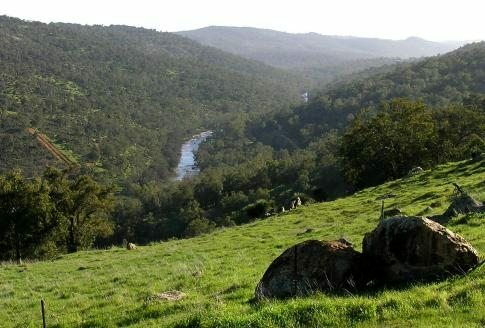 Bells Rapid, at the edge of the Darling Range near Brigadoon, is best known as a viewing spot during the Avon Descent. 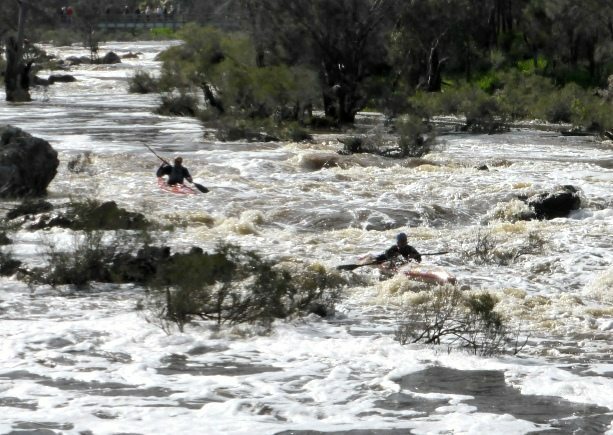 In late winter when the river is ‘up’ canoeists practise here for white water action. 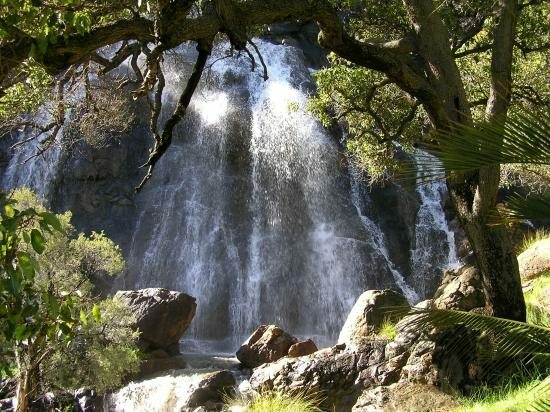 After good rainfall an impressive waterfall displays in a picturesque side valley. 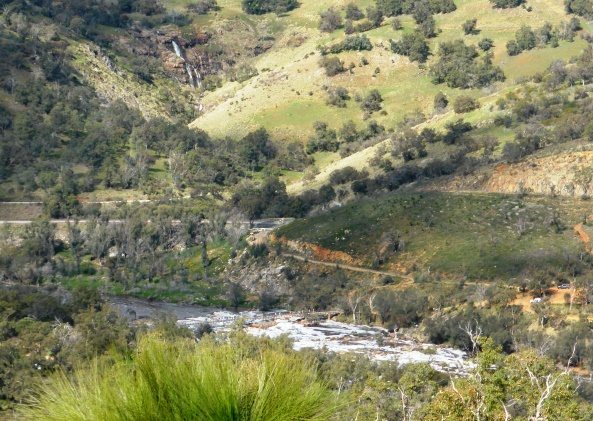 Energetic uphill climbs on both sides of the River are rewarded by excellent views along the Darling Scarp, across the Swan Coastal Plain, and northward up the valley to Walyunga N.P. 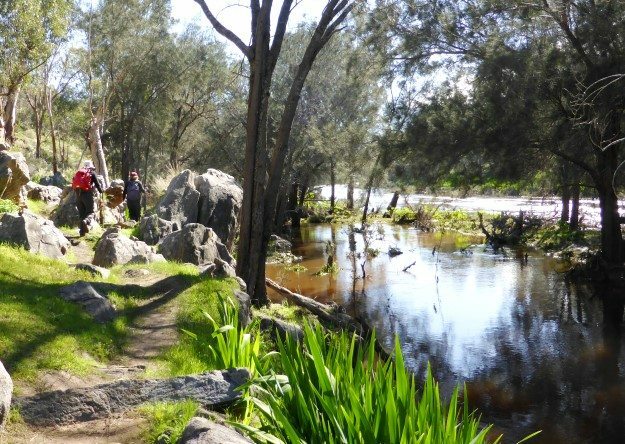 The route can optionally be extended northward for a very rewarding 13-15.5km return walk to visit Walyunga and Bungarah Pools on the Swan River at Walyunga N.P., partly following the Camino Salvado pilgrim trail along the river bank. A great walk. Sadly, Westrail were doing track maintenance and had a bloke manning the crossing who would not let people through to go up to see the waterfall (which looked like it was in full flow). We had a very enjoyable day today walking a 10km variant of this trail. I don’t have a GPS (yet) so navigated with Memory Maps and loaded trial version 25k topo on the phone. It worked a treat! 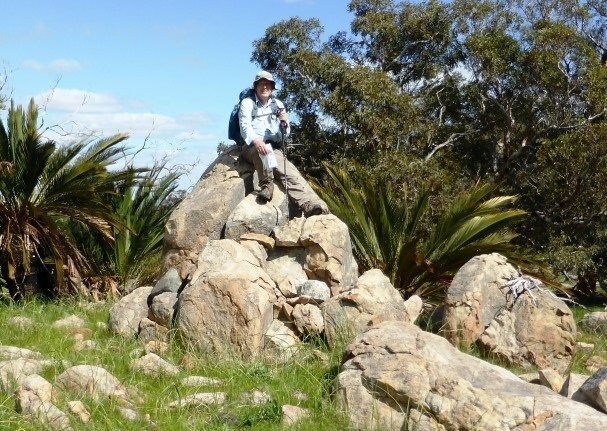 We followed the Camino trail to the boundary of the Walyunga NP..From here we used the phone to navigate to WP Alt-07 and then up the ridge to WP 16. From the summit of Mount Mambup we dropped back down into the Avon Valley via WPs 11 to 4 in reverse. We managed to lose the trail slightly at WP 08 and instead ended up following a very steep mountain bike track which brought us out slightly north of WP 04. Great fun and a good first try at gps navigation for me! We had a great time doing this walk last week. The falls were in full flow after some heavy rain so conditions were perfect. We saw goats, kangaroos and a scarlet robin along the way. 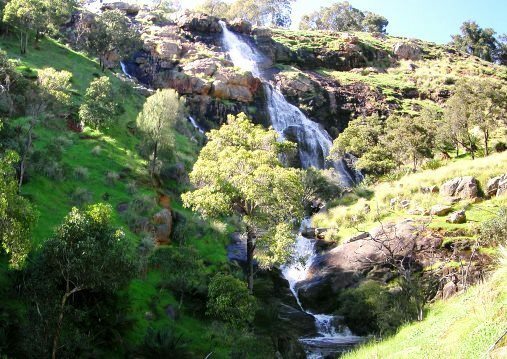 We felt very lucky to find the waterfall tucked away in a secret spot while the the Bells Rapids area below was swarming with visitors. Westrail have installed cameras at the rail crossing and warning signs that trespassers will be prosecuted – hopefully their focus is 4WD vehicles rather than walkers. Railway crossing – The walk route crosses the railway along the east side of the River. The line is now independently controlled by Arc Infrastructure (previously Brookfield Rail). For safety reasons warning signage with contact information has been placed at the crossing, requesting any walkers planning to cross to contact the company in advance. Heed the sign/s. Trains pass frequently, so exercise great caution at the railway crossing. Provided you have permission, cross quickly after ensuring that a train is not approaching. You must exercise your own independent judgment as to whether it is safe for you to cross. WalkGPS accepts no liability whatsoever if you choose to cross. DBCA Prescribed Burns – For information on actual planned and active burns in the area. DBCA Indicative Burn Program – For information on burns that may be carried out in the area in coming days or months depending on weather conditions and other factors. Also see Dieback; Park closures / other alerts; Prescribed burns etc on WalkGPS Access & Issues menu. In side valley east of the River. 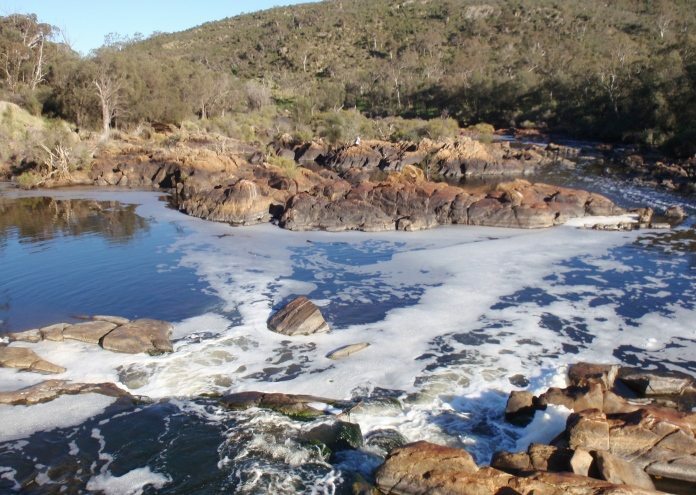 Avon River at Bells Rapid. 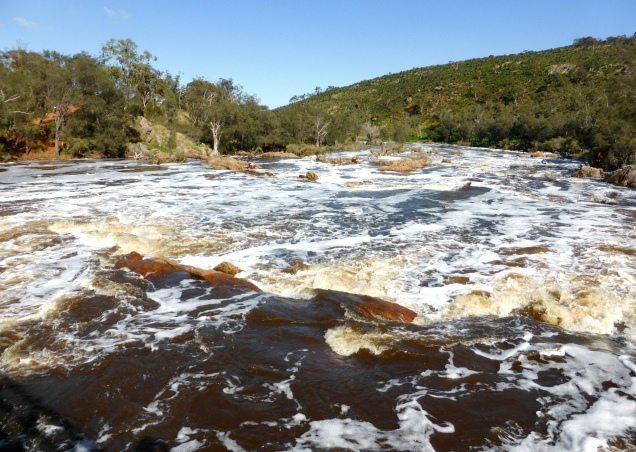 Avon River at Bells Rapid, in full flow. 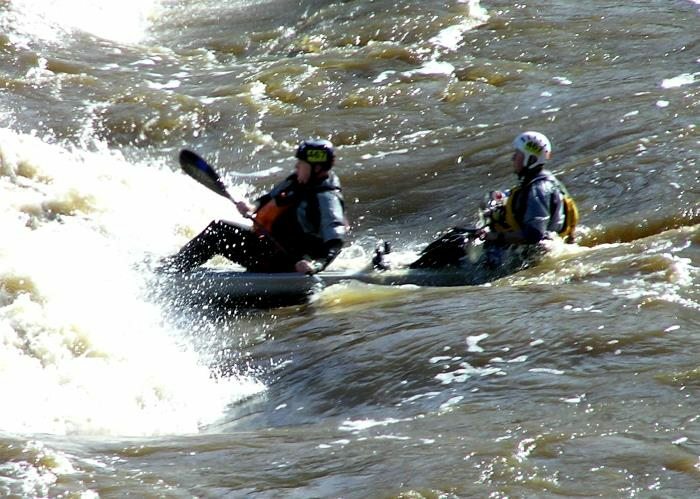 Paddlers at Bells Rapid during the annual Avon Descent. 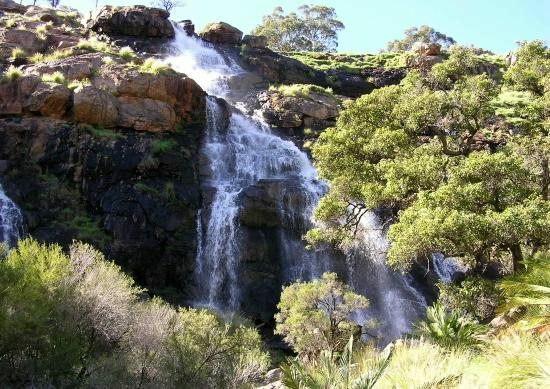 Lower cascade of the waterfall. Waterfall in side valley east of Bells Rapid. View up Swan River valley from above the falls. Pilgrim Trail (Camino Salvado) marker - on optional route extension to Walyunga NP picnic area. 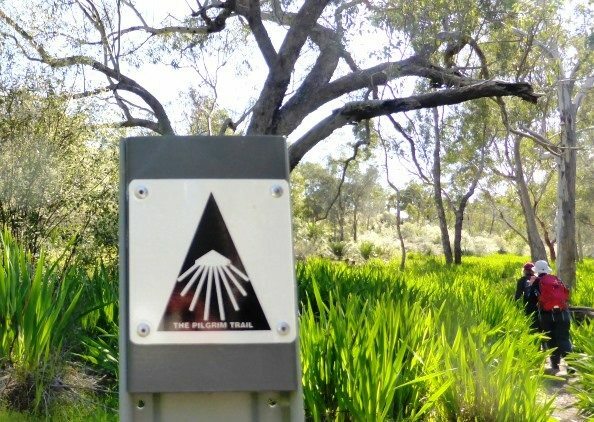 On Pilgrim Trail along west bank of Swan River (optional route extension). Walkers ascending north slope of Mount Mambup (via optional northern route extension). On boulders on summit area of Mount Mambup. Bells Rapid below footbridge, and waterfall (top left) from southern ridge of Mount Mambup. View across Swan Coastal Plain toward Perth. 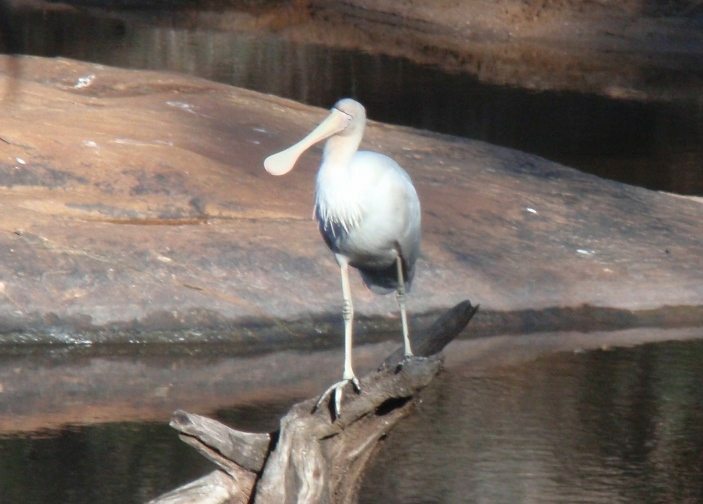 All care has been taken to make the walk descriptions and other information on this website as accurate as possible, but use of any of the information provided for viewing or download is entirely at the user’s risk. Your use of, or reliance upon, the material on this website is entirely at your own risk and it is agreed that by referencing this material you accept this condition. WalkGPS accepts no responsibility for any loss, injury, damage, mishap or inconvenience sustained by anyone pursuing any of the activities described on this website. Personal safety is the responsibility of each walker. You must exercise your own independent judgment as to whether the walk routes suggested on this site are safe for you in the context of your fitness, training, skills and experience. 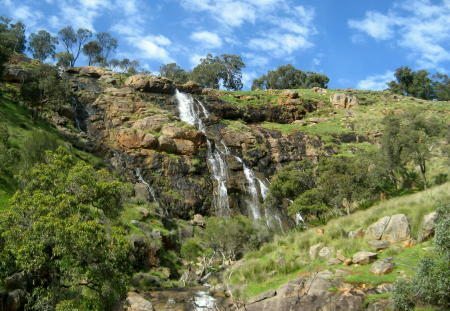 Geographical information provided for each walk on this website is for a suggested walk route only and it is up to every walker to evaluate for themselves the best and safest way to actually proceed. WalkGPS makes no representation or warranty that any material on the website, inclusive of GPS data and maps, will be accurate, reliable or complete. 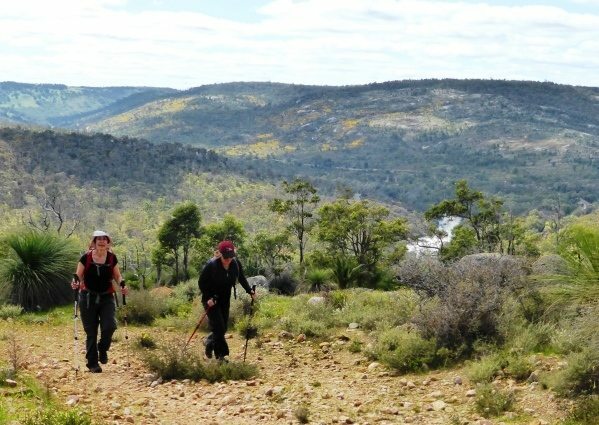 All outdoor activities involve some risk of injury or death, and bushwalking in Western Australia is no exception (e.g. 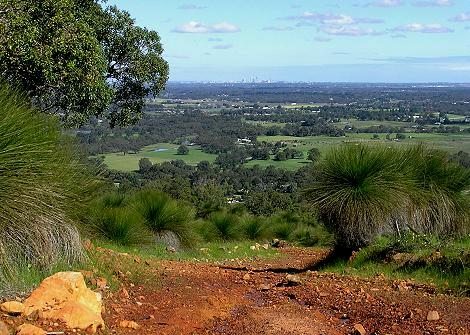 bushfire, bush roads, snakebite, ticks, water availability and quality, weather, heat exhaustion/heat stroke, river crossings, ankle sprains, and even unexploded ordnance (in the case of Avon Valley walks). Users of this website are expected to have a clear understanding of these dangers. 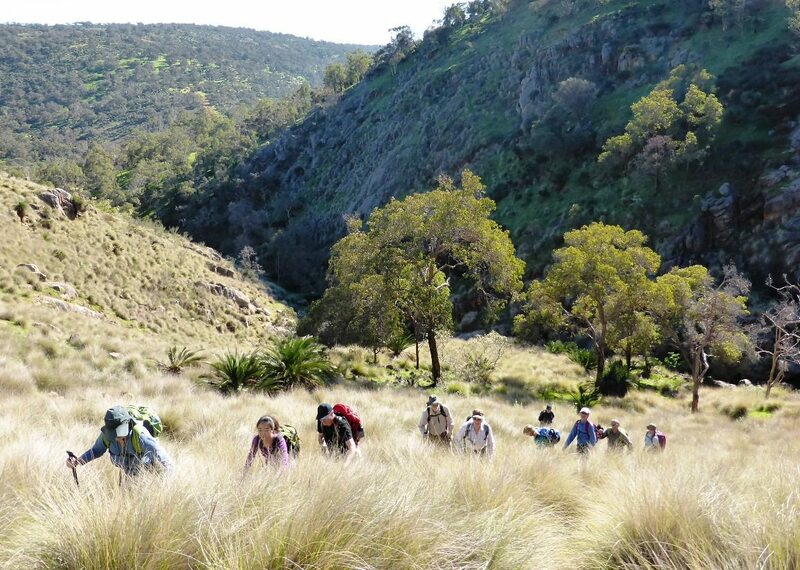 The Australian bush, bush trails and vehicle tracks are also ever-changing, so you must be prepared for surprise. Copyright The original information provided on this WalkGPS website is copyright. Apart from any use permitted under the Copyright Act 1968, the information is for your personal use only and no part may be reproduced by any process for any third parties, nor may any other exclusive right be exercised, without the permission of Dave Osborne at WalkGPS (contact). 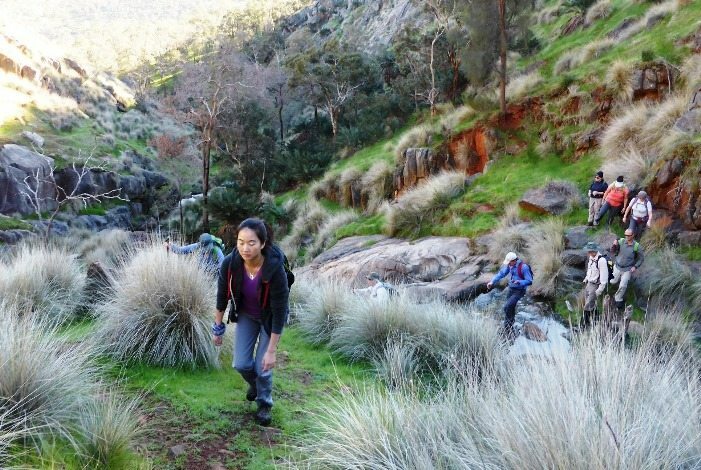 the resource for bushwalkers in the Perth region, W.A.